Yesteryear sensation Khushbu Sundar has expressed her admiration and liking for Thala Ajith quite a few times before in interviews and in her social media interactions. Yesterday, Nov 14, after seeing Vedalam she couldn't control her excitement and put out a series of tweets lauding Ajith and his performance in the film. "Thala, nee sema style, kettavan aana lovable.. Thala, unakku mattum yengirundhu varudhu indha kootam? 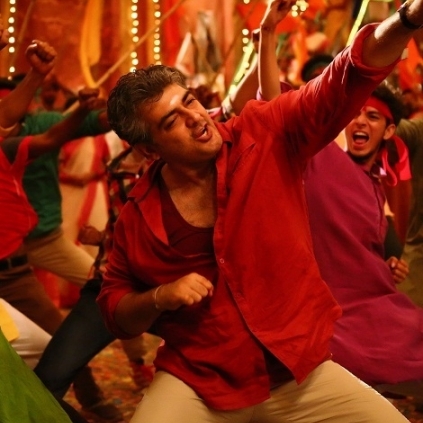 #VEDHALAM, biggest blockbuster.. Super entertaining film #VEDHALAM..Thala and Lakshmi Menon, director Siva has done a gr8 job.. Can't wait to watch it again..Thala, my George Clooney, pattaye kelappunga, namma THALAkku whistle podunga." That's quite a fan-girl moment for Khushbu. Boy of ‘Boys’ gets hitched! People looking for online information on Ajith, Khushbu Sundar, Thala, Vedalam will find this news story useful.